December 31st is a day to take stock of the year passed, a day to celebrate our gems and recognize our challenges in order to capitalize on these opportunities for improvement in the coming year. I personally enjoy this occasion to formally recognize one year’s passing and ready myself for the possibilities of the year ahead. Isn’t that really what is at the heart of the celebration of the New Year: all of the possibilities contained within the yet unturned pages of the new calendar? Possibility, if it were an emotion, could easily be hope – the thing that drives us, lifts our spirits, and makes us look towards the future with enthusiasm and gratified anticipation. The new year is a blank slate upon which we can write our hopes, dreams, and goals. Come January 1st, however, we should not sweep the previous year under the rug – we should enter the new year armed with the accomplishments that were celebrated, lessons that were learned, and growth that incurred during the previous twelve months. In that spirit, I would like to take this opportunity to share with you all our favorite recipes from the Outpost for 2008. These recipes will definitely be making repeat appearances on our table in 2009. I wish each and everyone of you a very happy, healthy, joyous, and prosperous 2009. Here’s to a wonderful and equally delicious 2009 for you and yours! Beautiful 2008 round-up! Here’s to this year! 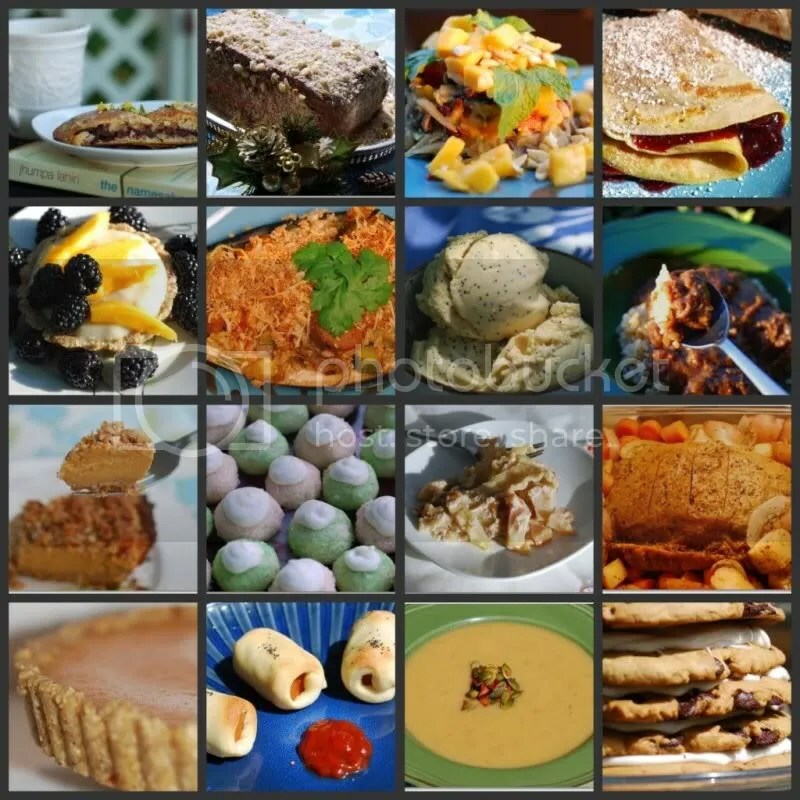 Great round-up (and thanks for the reminders of recipes I want to make) and happy New Year! Happy new year! Nice review. You cooked up a storm in 2008! I want to try every single one of these delicious looking recipes! Thanks for posting them. Oh, and your French yule log is absolutely amazing looking! Coconut and macadamia…I so wish I had an abundant local supply of those! Thank you for the wondefrul new year wishes – happy 2009 to you all !